Which Kanto Bug Type Pokémon is Your True Companion? You are best suited to train with Butterfree. You are a trainer that can find value in the places most often overlooked. Perhaps it comes for your knack in finding on sale goods at the grocery... or maybe you are just a genuine person who can appreciate the kind heart of a Butterfree. Whatever the matter is, your Butterfree will surely attain great skills under your care. You are best suited to train with Beedrill. To train a Beedrill is a daunting task because of their over protective bubble that is hard to burst. You embody a sense of danger and it draws you towards this pokémon. The hardest thing for a trainer working with beedrill to understand is that a Beedrill chooses the trainer more often than the trainer choosing the them. You are best suited to train with Parasect. The relationship between a parasect and a trainer is one of the most unique. It requires a lot of good faith effort because of the limited control of the pokémon's own body compared to the parasitic mushroom's control. You tend to take things easy and do not mind repeating yourself. Training a parasect can be one of the most rewarding experiences because your connection will be as unbreakable as separating Parasect from it's mushroom. You are best suited to train with Venomoth. You feel your nights are best spent out on your terms, under the moonlight guise. A venomoth is the perfect accomplice for your endeavors. You do not need to prove much to accomplish a strong relationship with this pokémon, and to be honest that is how you like it! Just do not forget about your Venomoth because deep down inside it cares for you deeper than it will let on. You are best suited to train with Scyther. The power bond you will build with a scyther is stronger than any other pokémon you could train. With this said, a pokémon of this caliber requires a trainer with extreme tact. You must always say what you mean and mean what you say, which can be difficult for you. Just remember that even the most powerful have room to grow, and that includes both you and your Scyther. If you do not give up, you will mature and grow much from training with this pokémon. You are best suited to train with Pinsir. A Pinsir is a large and strong pokémon that will require similar strength from its trainer. The good thing is you also value strength, and many times use it as an asset for dealing with problems. Your relationship with Pinsir will be an easy one to manage emotionally but will require physical exertion to achieve anything of value. You must be at your peek performance level to keep up with this pokémon. 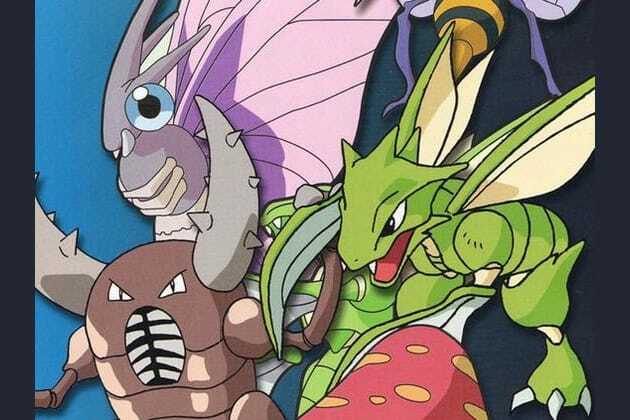 Take this quiz to find out which Kanto bug type Pokémon would complete you most as a trainer!